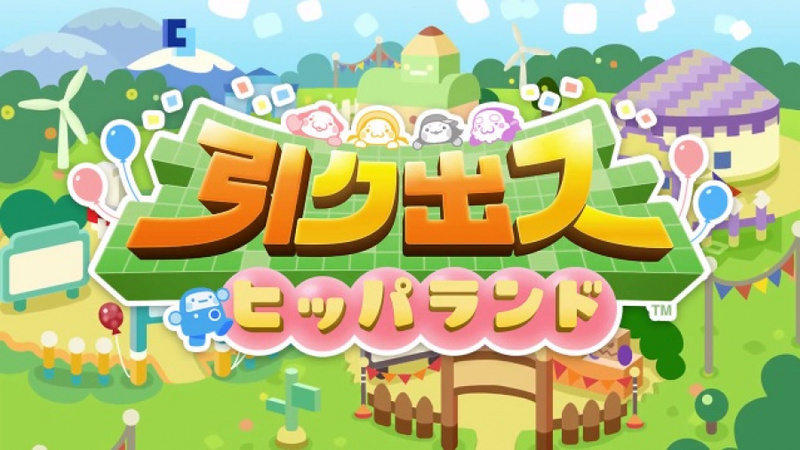 Intelligent Systems’ Pushmo series for the 3DS eShop has been well received since the original game – known as Pullblox in Europe – was first released on the 3DS eShop in 2011. Since then, fans of Mallo and company have seen the release of the 2012 sequel Crashmo – Fallblox in Europe – and then witnessed the series’ transition across to the Wii U eShop last year in Pushmo World. Nintendo has now revealed the fourth entry in the series. Pushmo: Hippa Land is now available in Japan as a free download via the eShop, and features built-in paid transaction options to unlock select individual portions or the entirety of the game. Aligning with Nintendo’s new model; Pushmo: Hippa Land allows players to essentially sample the eShop title for free experiencing seven introduction puzzles. Once these have been beaten, the player is then able to buy 100 new courses for the regular puzzle world for 500 yen, or 50 new courses for each other world for 300 yen. There will also be the option to buy all four worlds for 1000 yen and gain access to a more difficult challenge world. Purchasing any of these worlds will unlock the Create-A-Puzzle feature and allow players to share creations using QR Codes. Mallo is also no longer the sole star, with each world reportedly introducing a new character to play as. Take a look at the trailer below, and let us know in the comments what you think of the new direction of Pushmo: Hippa Land. According to Miiverse, the American title is "Stretchmo". I assume it'll be Stretchblox in Europe. I actually prefer this over the demo being a seperate download that you need to delete when you got the full game, as long as they make it clear the full game isn't free. Looks neat! I wasn't as keen on Fallblox as I felt I solved most of the stages by accidentally collapsing them, but this looks more inline with Pullblox and Pullblox world. Will definitely pick it up if I get the chance! Basically you can try out 28 levels than pay 10 euro's to get the rest. That's neat. I liked Pullblox but at this point it feels like more of the same. I hope the pricing model allows me to jump straight into harder puzzles. I loved the first game, but having finished that I found the first half of the second game incredibly simple and introductory. Good price 1000 Yen ~ £5.30, hopefully the price won't inflate too much in Europe. I love how this game is evolving with every iteration. Let's hope we don't have to wait too long for it over here. Looks brilliant! I am always looking for more Pullblox levels. More of the same works as long as the levels have variety and challenge. I will probably skip the really easy levels. There's an honesty and purity in this way of doing things, where you get to play a decent chunk of the game for free and are then given the choice to pay to play the rest, that works out well for the end consumers and should work out well for the developers too (as long as they're making good games), and I like that. Funny how games like Doom back in the 90s showed us exactly the right way to do it all those years ago (although shareware was first around in the 80s). Man, Mallo is representing in a serious way... Four games in under five years is pretty good for a new character and brand! I have enjoyed the -mo series here in the US quite a bit; maybe Mallo will be Smashing it up here shortly with the rest of the new DLC for Smash Bros Wii U/3DS? I still have to finish the last few of the extra levels in regular ol' Pullblox, and I haven't even started Fallblox yet... I wouldn't mind getting this if I end up ever finishing both of these. And yes, I know it's not very expensive to begin with but it's more about the principal of the thing. Never played the series before. Maybe I'll try this out and see if I want the other levels. wow. they're really pushing the pushmo series, and grandpa blox is getting in on the action! the new additions seem interesting, so if it's $10 i would go for it (eventually). Sounds like a HIPPA violation to me. This is the best news! Just yesterday I was telling my brother how I wished they'd release a new Pushmo game and here it is! ...aaand this jumped to the #1 spot on the Most Anticipated Games-list! I love how there are now enemies/platforming-ish obstacles this time around, but i'll most likely pass. The first Pushmo was enough for me which I haven't even finished yet. Couldn't really get into Crashmo. Wasn't expecting this, but looking forward to it. You pay for the game, not for temporary items that make it easier to beat levels. This is nothing like Pokemon Shuffle. This is amazing and I need it now! @Storytime7 well, that's better then, my mistake. Could still be fun though. It seems it has some new features, like enemies (and it goes in the third-dimension).